​Hope Haven in Guatemala hosted our team for the 2015 summer. We now have a production facility on the grounds of of their global distribution factory and are making standers at a rate of about 400 per year! We were also able to follow up with many of the standers in Guatemala and Honduras during our time there. We look forward to expanding our collaboration to other countries as well. ​MMI Peru has a long standing relationship with Stand With Me. They were the inspiration for the development of the standing frame and their dedicated therapists and team informed and commented on every step of the the design process. They were the first clinic in the wold to use and distribute our standing frames with patients. After our Summer 2015 trip, SWM is proud to have a production facility in Arequipa, Peru where Hope and Health intends to build between 50 and 100 standers per year to service their local community. Hancock Lumber of Maine provides all wood products to SWM free of cost and help us get super deals on hardware and other items! As a result of this, Hancock lumber has helped significantly reduce the cost of many standers. A big thank you for their willingness to share expertise and support stateside and internationally! Adimab is a generous sponsor of our work located in Lebanon, NH. They are a biotech company that specializes in the production of antibody therapies to treat human disease. We are proud to have them as part of the team! 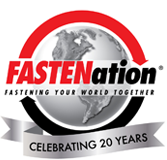 FASTENation helps provides us with the Velcro materials that we use to keep our patients comfortable and safe while providing them the support that they need in the places that they need it!